The Queensland Government will fund the next round of studies into a proposed Virgin Australia Supercars Championship event in Rockhampton. The central Queensland city’s interest in hosting Supercars was outlined last November, with a proposed circuit design unveiled in April. To build on initial research, $100,000 in funding will be provided to the Central Queensland Motor Sporting Club for further assessment, including building a detailed business case. “Having a Supercar Championship fixture here in Rockhampton would be a great win for the local tourism industry,” Tourism Industry Development Minister Kate Jones said. “The Rockhampton Regional Council recently completed a pre-feasibility report as well as preliminary design plans for the proposed racing track. 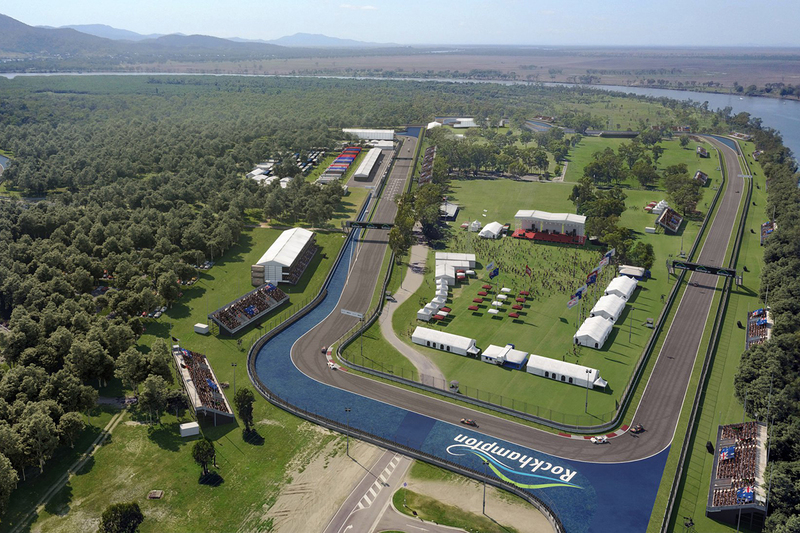 The proposed circuit would wind through the suburb ‘The Common’, described by Rockhampton Mayor Margaret Strelow as “a blank canvas waiting to become Rockhampton’s next star attraction”. Of the fresh Government funding, Member for Rockhampton Barry O’Rourke added: “I’m dedicated to bringing big events to the region to benefit the community.